Rabbi Rosenstein was ordained in May 2016, and also received her Masters’ Degree from the Academy of Jewish Religion-CA. 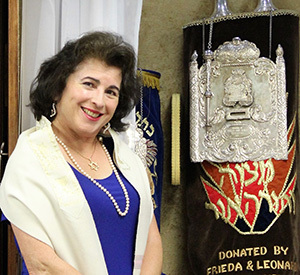 As our Rabbi, she is the religious and spiritual leader of Temple Beth Sholom. Rabbi Rosenstein also served for 10 years as a lay leader and Ritual Chairperson of the congregation before starting her rabbinic studies. She also has a BA in English Literature from UCLA, is a Life Member of Hadassah, and is married to Robert B. Rosenstein. Together they have five children and two grandchildren. Read some of Rabbi Rosenstein’s past Sermons and Drashes. Have a question for Rabbi Rosenstein? Contact us today.